Learn from the best! As The Leader in Traffic Safety Education, we have created a DMV approved online driver education course that provides you with the knowledge you need to successfully pass driver education online. Our driver education course is designed to be user-friendly and teach you the rules of the road, the importance of a defensive driving attitude, and understand how to learn safe driving behaviors. You can begin by checking out our Demo page or Start Today! Our course is only $24.95. Our DMV-approved California driver education course is available to you 24/7. Our online driver education course is user friendly. Your Certificate of Completion is mailed to you upon completion of the course. This interactive teen driver education course has been designed to quickly learn the rules of the road, the importance of a defensive driving attitude, and understand how to acquire safe driving behaviors. The modular design allows the student to learn the information that is necessary to pass your permit test successfully! With our online drivers education course, you may qualify for up to a 10% insurance discount. * You can do all this from the comfort and convenience of your own home with our online driver’s education program. Sign up is quick and easy, and there is no obligation. If you complete our course you have unlimited access to our free practice permit tests with our driver education course. Questions are based on real DMV test questions. Remember, knowledge is power and you’re preparation will insure your success. The day you receive your license will be very special! You will step into a world that can mean new freedom and independence. You will meet new people and do new things. The world of possibility may open for you in ways you have never imagined. In this world, you will discover you have a set of new responsibilities. Our online driver education course is designed to help you learn these responsibilities, laws, skills, knowledge, and attitudes to drive safely. Once you turn 15 ½, you may apply for a drivers license. In California, if you are under 18, you must complete an approved driver education course. YourDriversEdOnline.com is a convenient way to receive your learners permit and later your driver license. You are eligible to begin this online program as early as 15 years old. Our DMV-approved YourDriversEdOline.com online course lets you complete driver education conveniently online. Our online driver education teaches driving laws. Using the knowledge, skills, and attitudes you learn in our online driver education program can reduce the costs of law enforcement, property replacement, access to insurance discounts, and results in a much more pleasant driving environment. 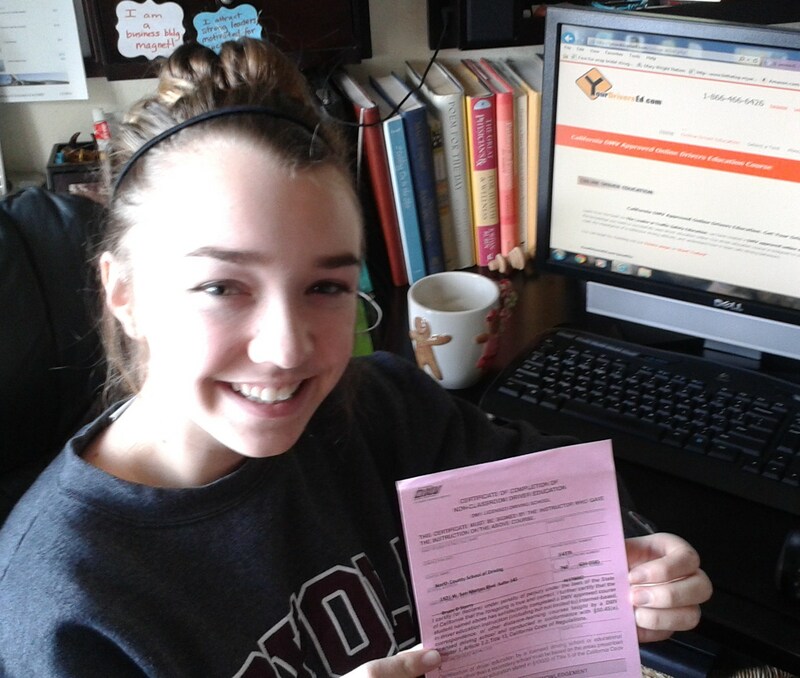 YourDriversEdOnline.com teen online driver education course will prepare you to successfully complete the permit test. Remember, once you successfully complete our online driver education program you will have access to our free DMV test questions. Enroll now or view our Demo Page.